‘Book Thief’ author Markus Zusak had the idea for his new book, ‘Bridge of Clay,’ 23 years ago. He’ll share the backstory this week in Salt Lake City. (Courtesy of Random House Children’s Books | Elena Seibert ) Writer Markus Zusak, author of "The Book Thief" and "Bridge of Clay." Five brothers raising themselves in a tough Australian neighborhood. A father who is MIA. A mother who has died. A mule named Achilles who takes up residence in the kitchen whenever possible. An old-fashioned typewriter buried in a backyard next to the bones of a snake and a dog. Each of these plays a part in Markus Zusak’s stunning and gorgeously written new saga, “Bridge of Clay,” which deals with the universal themes of love and loss and all the things that unite and divide a family. 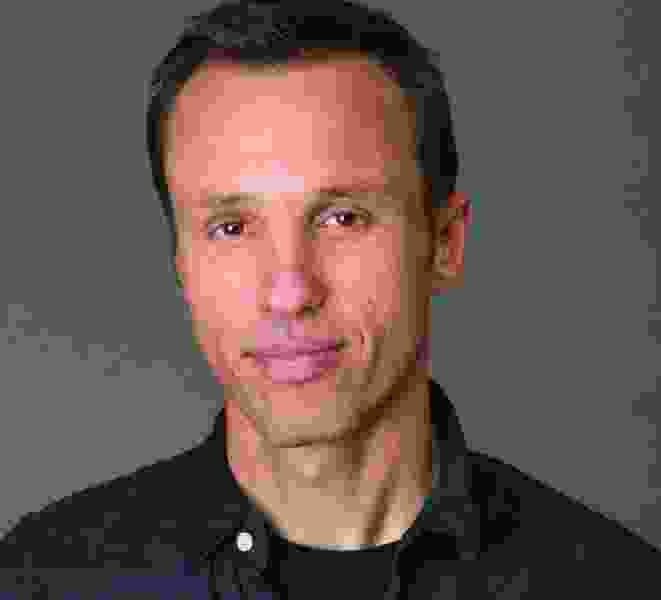 Zusak, the author of the international best-seller “The Book Thief,” will be in Salt Lake City on Oct. 20 to sign and read from his new book, which he also discusses in the following email interview. Wow! This book! Where did it come from? Thanks for such a lovely and visceral response. I guess this book came from that unknown place inside that whispers something once every decade (if I’m lucky) — and on this occasion it whispered a boy and a bridge. Which made me think of a boy building a bridge — and then wanting to build a great bridge. I was only 19 or 20 at the time, but somehow I knew it was going to be an idea I would always love and would carry for as long as it took to write — which turned out to be 23 years or so. You were quoted as saying about “Bridge of Clay that “I’ve got to get it done this year, or else I’ll probably finally have to set it aside.” Can you speak to the challenges of writing this particular book? I think I said that every year for about eight years. I basically started the first scraps of work towards the end of 2005, but as is often the case when you start a book, you look at it and think, “Well, that’s not what I’m looking for.” For this book, I would have that exact feeling for years on end. I was always searching but never quite happy. I had so much material written by 2015, when I wrote a new beginning, where the narrator of the book — Matthew Dunbar — goes out to an old country town to dig up a typewriter to write the story on, and that’s when I felt truly on the track I wanted. Which isn’t to say things were easy from there — they weren’t. But I felt closer to bringing it all to an end. Did the stratospheric success of “The Book Thief” get in your way as you worked on “Bridge of Clay”? I think that’s a very appropriate question, because no matter how true it is that “Bridge of Clay” was always going to be a different book, the success of “The Book Thief” was probably more a factor than I would admit, even now. So many great things come through the door with that kind of unexpected success, but so do a lot more criticisms and doubts. I’m so grateful to that book, and especially its readers, and I guess there were just new challenges to face because of all of that. Suddenly you have an audience. Suddenly you have a few more people waiting. Suddenly you don’t have to write to scrape by as much — and all of these things test you. In truth, I just wanted to write a better book, the same as I’ve always tried, and “The Book Thief” meant so much to me. I wanted to write a book that meant even more, and within myself, I know I have. As the mother of five (now adult) sons, I feel like you nailed the boys-only family dynamic. How were you able to do this? I’m the youngest of four children, so I grew up in a fair degree of family chaos, although only one of my siblings was a brother. That said, I grew up being steadily pummeled by him and all his friends. We had boxing matches in the backyard — that was a particular favorite — and so many other modes of mischief and madness. It was laughter and pain, silliness and extreme friendship, too — and I molded all of that into my at least moderately active imagination and ended up with five Dunbar boys. Five just felt right to me. Five boys. Five pets. And two memorable parents. For some reason that all made perfect sense. Homer’s “Odyssey” looms large in “Bridge of Clay.” Why? I actually find it funny now, thinking, “What does ancient Greece have to do with modern day Australia?” It started with the nicknames. I love how in “The Iliad” and “The Odyssey” there’s a grandness, even something overwrought to the characterization. Achilles doesn’t just enter the fray. He’s the “nimble-footed Achilles,” and Hector is “Hector of the glittering helmet.” Australians love nicknames, and once I called Penny Dunbar [the mother] “The Mistake Maker,” I knew I was writing a family’s reality through its own myths and legends, as well. Every character is constantly traveling in this book, through past and present. I became more and more aware of that as I was writing it (as well as Homer’s constant repetition of images) — and these were things that excited me about writing the book. Let’s talk about the book’s structure. You don’t tell the story of the Dunbar family in chronological order. Why? Maybe it’s because our past lives are inside us, all the time. We carry them everywhere, and they impact what we’re doing in the present so much. I wanted Clay’s bridge to feel like it was made of him —and who he is comes from the journeys his parents made, the decisions Clay has made himself, and all of his failures and triumphs. So I guess I structured it that way because we don’t always think in the same direction. We’re going backwards and forwards all the time. And sometimes looking back is actually the only way we can go forward. What question would you like someone to ask that no one ever asks? Maybe the one you just did ask. It would just be why I write in the first place, which is because it’s what makes me feel happiest and most alive. And, finally, what do you hope to do and see when you visit Salt Lake City? I’ve been to Salt Lake City twice before and coming in by plane is one of the most beautiful things to see in the world — so honestly, I’m first looking forward to that. And Salt Lake City has some of the very, very best (and dedicated) readers in the world, and I can’t wait to be with them again. 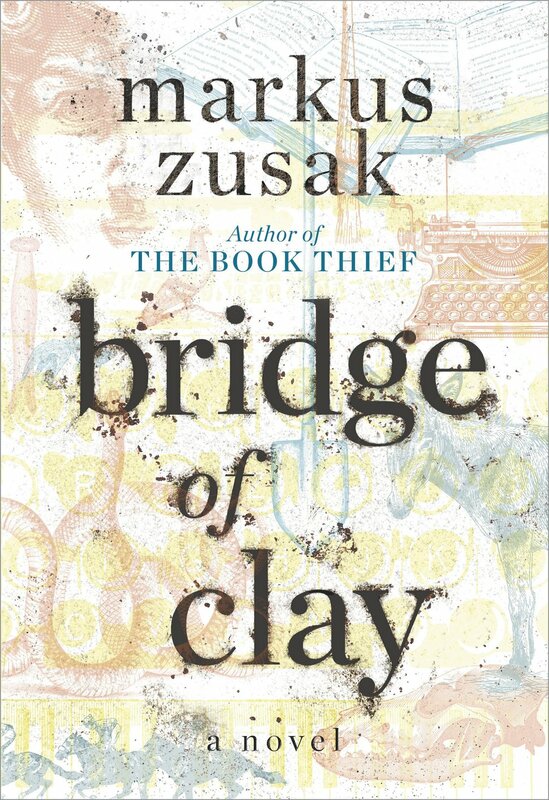 (Courtesy of Random House Children’s Books) Cover of "Bridge of Clay" by Markus Zusak. This is a ticketed event — one book per one ticket. Purchase tickets at brownpapertickets.com/event/3501363. Or visit kingsenglish.com to find more information about the event, as well as a link to purchase the ticket and book.